I loved this app, but for the last several months it’s been nothing but trouble. Inaccurate distances for known routes. Stops for no known reason. I’ve tried to resolve it with support, but to no avail. Too bad. Highly recommend! The only issue is the font is really small. Overall excellent app for use when working out. Updated yet again...MapMyFitness continues to be the only workout tracking app I use...had it for years and never searched for another, and it’s 100% free. Thanks for continuing to support the unpaid side with good features to keep us coming back. Updated: I keep getting app rating reminders, and it stays the same...awesome app, and the free version does everything I need it to. Love that UA continues to support so many features on the free side. Since I started using this app in 2012, I've logged 784 workouts, ridden 8,891 miles on my mtn bike and burned over 438,000 calories...being able to see this progress is HUGE. Updated: still an awesome free app. Tracks beyond the basics for the everyday exerciser without pressure to upgrade. This is the best free app I own. Older: I'm an avid mountain biker, and this app tracks everything I need to see. After a year using it, was great to look back and see how many miles I rode, calories burned, and how I tracked against others who ride the same trails. Occasional flukes, but works great most of the time! Still freezes on Apple Watch. Was working well enough until two days ago. The version history says this was fixed. It wasn’t. Works well generally, but has difficulty syncing workouts when you’re recording out of service area, then try to sync when you have signal. Crashes Frequently since last upgrade Very good app. for following food and take And nutritional contents. I have used this app on my watch, paired to my phone flawlessly for the last year or so. As of a few weeks ago, I think two updates ago, both this app and MapMyRun will no longer sync with my Apple Watch. Every time I go into devices or apple permissions apple health is unchecked. I have tried resetting everything, deleting and reinstalling, even wiped my phone and still nothing! It’s a shame because as a whole the suite of apps works great but without the hugely necessary feature I will be canceling my MVP and MyFitnessPal subscriptions to find something better. UA, please get this fixed. An automatic pause feature would be very nice! 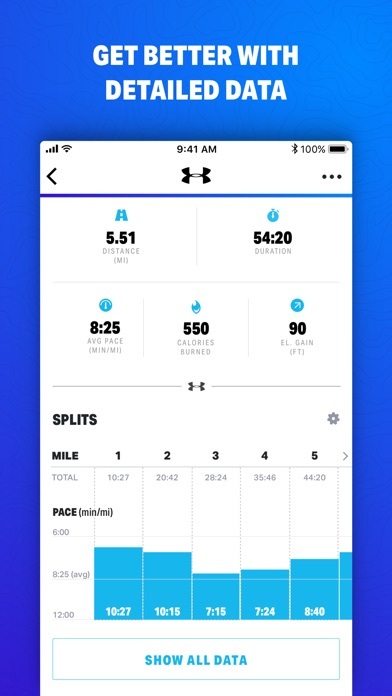 This app announces and gives credit for 1.6 miles at the 1 mile interval, 3.2 miles at the 2 mile interval, and so one. I’ve used it 3 or 4 times and can’t reconfigure or calibrate it to work correctly. I’m going to delete it. For a non smart watch person I love this app! It has worked well for me as I’ve used it. Only thing I’m not 110% happy with is the accuracy of the calories burned, because sometimes they don’t match up with other fitness apps I’ve tried, so it’s left me wondering if I was under or over my goal a few times, but other than that I love it! I’ve used this app a few times now, I run a mile and half it says I run .28 miles. I run 2 miles it’s says .28 miles. Delete!! It’s a must for those who value fitness. Not consistent after Apple upgrades. I liked the app before I upgraded my phone and Apple Watch. Now it doesn’t move my Apple Watch rings every workout. Customer service was responsive that I had an issue but there was never a solution. My music will not play!!!!!! I love this app but I have been unable to log in for two weeks, either with Facebook or with my email. The support website is not working. Sometimes the app works mysteriously without asking me to log in, most of the time I cannot log in and it doesn't recognize my email-to which it had been sending weekly reports and advertisements! My main issue is the impossibility to get support. Love this app. Use it everyday!!! I love how this app is so easy to operate; straight forward; tracks my walking on a real-time map; and gives voice output on mile makers! I’ve found the mileage to be in accurate. I run the same 1st mile. Today it said I had run a mile after only 3/4 point. Only complaint I have is there needs to be an option to remove ‘Recommended’ users or ability to block them. A lot of the recommendations are people I don’t even know and the list never changes so would be nice to clear the list. Worked great for weeks, but either a geo-positioning satellite has been taken over by H.A.L. 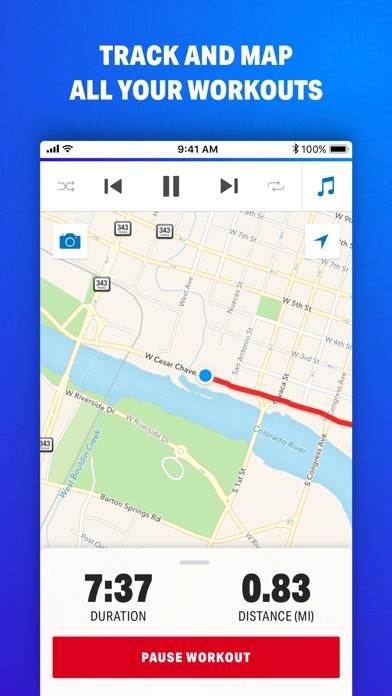 or the app has replaced mile # 1 with a kilometer. I can’t walk my first mile in 13 minutes! It seems to get its defecation in coagulation after the first mile, but it’s already too late to accurately record a walk. I wonder if Map My Walk still works! Not fun to be biking and get 20 messages that app has stopped or started. The tracking is way off!!! For the free version, it is almost unusable due to the ads. When using the keyboard, most of the remaining space is taken up by the top banner (thanks, I know what app I’m using) and ads, so much so it’s hard to type. If you accidentally click on one of those ads, the ad loads full screen in the app and there is no back button or close button. This renders the app useless. Even exiting the app and then coming back in, the ad is still loaded. The only way to get back to the app was to reboot the phone. To be fair, the tracking function might work really well. I never tried it because I ran into the ad issue five times just trying to set up the app for use. I have a MyFitnessPal account that I have begun using with no issue. I have linked my Facebook account to it. Apparently, that's as far as the devs can get. Whether I link through FB or sign up independently, I get a "Cannot create account" error. After a dozen tries this became an uninstall for me. If I can't find a mapper that links with MFP then that likely will need to become an uninstall for me as well. Lame. I'm rather anti Fitbit type trackers, but this app has a lot of options in terms of activity and gives plenty of information about the workouts it allows you to log. The GPS is pretty spot on as far as I can tell! 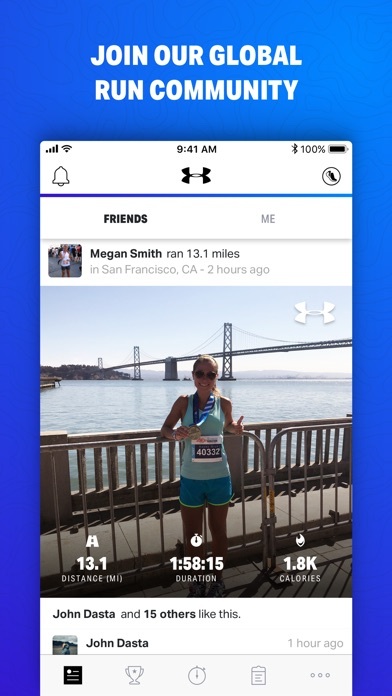 I like the feature where you can share your workout logs and view friends, great for long distance encouragement! Consistently crashes — what has changed? Used to love the app. Lately it can crash 5 times in a 15 minute run. Disappointing. It would be great to listen to YouTube or book on tape while exercising...Currently no option for that. Love using it to track my walks (time and distance). Please add rowing to the watch app. You have most everything else but this. Otherwise great app. Sometimes the GPS will measure is my 1st mile at somewhere between a half and three-quarter mile mark. It says 1 mile. I’m not that fast. It seems to go home after that. It doesn’t do it all the time. Like other users I have read the gps worked great and then started tracking weird. I ride the same course for weeks and the last 3 times the gps puts me in the lake and then back making my 12 mile be over 20. Maybe I will delete and re-install like someone else did. I don’t want to have to do that. I like that I can run and bike and track all in the same app. I’ll look at Strava to see if it does that. By far, UA has the best Fitness tracking apps. 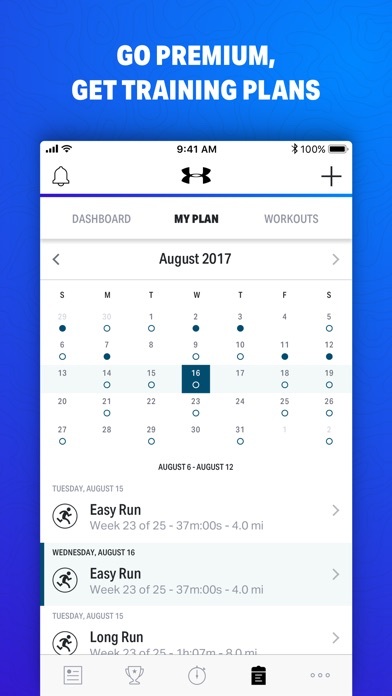 I’d highly recommend UA apps for all your Fitness tracking needs! Thanks for screwing up MapMyFitness on the iWatch. Guess I will just stop using your stuff and just use Apple’s. Easy to use...I love how it breaks down the miles and tells me as I run my time. It's a fun and useful add on in my fitness journey. 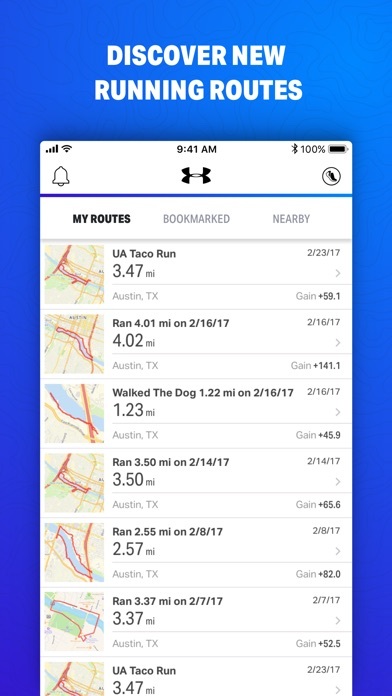 Great app overall for running!!! Lately, the app is significantly overestimating the distance of my walks. As an example, I just completed a 2.57 Mile circuit that the app indicated was over 3.5 miles. So sad you can’t add the most popular cycling power meter on the market. Don’t rely on it to actually record your workout. Final edit: decided to stop recording 10 seconds into a half marathon. Was hoping to get pacing data but nope. Last straw for this app. Addendum: now worse than ever. Will randomly not record GPS tracks or use the wrong track so there's now no guarantee your activity log will have any value. But hey, there's now more ads than ever! Every update seems to make this app worse. I ignored the constant shill for a subscription to unlock all the features because I liked the program. Then an update came along that made it so I can't turn the map display off while I'm riding my bike thus I can't display all the stats I want. Now the latest "improvement" has made it so that I no longer get split times on my run. Fairly new and a black man in America. Why is that important, you say? It's hard sometimes to find safe places to walk/run where you don't get hassled or deemed suspect. This app is a Godsend to me because I can choose my route or past routes that have been used by others. While everything isn't about race, I'm trying to exercise & make it home safely. And the most dangerous place for a black man to be while minding his business is in the imagination of a white person. No idea why anyone would have this and put up with the ads and/or fees when nike has a better app for free. I have always been screwed by this app so I don’t use the auto pause feature. Also recently it’s been taking less gps points than it used to. I don’t know if it’s the app or my phone tho because my regular gps functions are also slow pretty often. Great. the app helps keep track of my workouts and places the data in my fitness app calculating my calories but for the day helping to adjust my meal plan. Me likey! But where is the Printer? I’m still figuring the app out, but I like it so far. I really want to print my maps. That’s my main issue. I know I don’t have great service in my area but this app only tracked about half my miles. Other GPS apps work fine, I will stick with my Apple Watch and Runkeeper. I love this app on the phone, but haven’t been able to get it to work with the new Apple Watch 4. I can record a workout on my watch, but the data never syncs with my profile. I’ve checked all the settings and can’t get it to work. Since getting the new watch with cellular capabilities I haven’t been carrying my phone with me on runs anymore, and as a result no longer use this app. Do any of these apps recognize the difference in hiking at 10,000’ vs at sea level? Factor that in and be a game changer. On May 1st, my wife and I made a decision to live healthy lives. MapMyFitness has and will be the tool to help us manage our goals. 140 pounds later, both of us are in a very good place and we are not turning back. I use map my MyFitnessPal daily... when I’m on vacation or traveling I always add a picture during my bike, run or walk so I have a great memory of the trip, the work out and the person/ people I was with! Not very compatible with Apple Watch. Can’t use phone nor is it integrated with music. Have to play music separately and stop the app if you get a phone call. Looking for another app. Kind of going down hill? I have been having a lot of issues logging on recently. Plus some new issues communicating with my Apple Watch. Before all of the current issues I would have given it 5 stars. You updated my app and now I can’t log in!! I’ve reset my password twice and it still won’t let me in! !